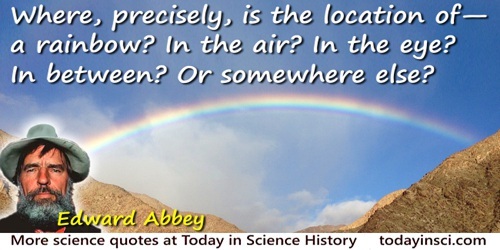 Where, precisely, is the location of—a rainbow? In the air? In the eye? In between? Or somewhere else? In 'Philosophy, Religion, and So Forth', A Voice Crying in the Wilderness (1989), 11.